Digital safety inspections are crucial to different business operations as safety hazards present multitude of problems to the workflow, workforce and equipment. As cumbersome and disengaging as the hazards is the process of inspection and regular maintenance as it requires paperwork that goes through the process of data gathering/compilation, encoding, analysis and reporting. Digital JSA (Job Safety Analysis) & SWMS (Safe Work Method Statement) are crucial to the safety of employees on all work sites. As a manager or supervisor of a worksite, it’s directly your responsibility to maintain correct practices and produces to ensure the health of safety of your staff and any other person on site or the community around. By identify and documenting potential hazards on your work site, supervisors and managers are able to prevent unsafe situations, identify and minimize risks and uphold a safe working environment. Optimizing your smartphones CMMS is now an integral for businesses that complete inspection process. Smartphones have evolved into an important business tool for organisations with their versatility expanding their application scope in the office as well as in the field. Continuous advancements in technology have resulted in smartphone devices being used to assist companies with day-to-day operations and complete activities that previously required a computer or were dependent on paper-based processes. Paperpess Solar Checklist App allows business to preform and monitor solar inspections, installations and maintenance most efficiently. To ensure legislative requirements are met, solar installers and professionals are turning to paperless automation systems for their installations and regular inspections, allowing greater flexibility, improved reporting functionalities and increased efficiency all round. 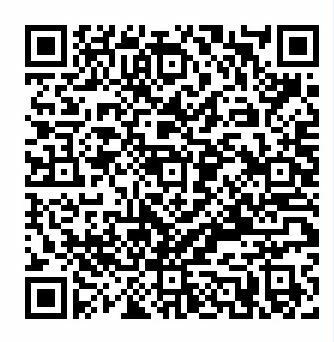 Paperless data collection of lifts and elevators inspection results (as per AS 1735) is now easier using mobile devices and paperless inspection application. Preventative maintenance of lifts and elevators is crucial in ensuring lifts remain safe and reliable. 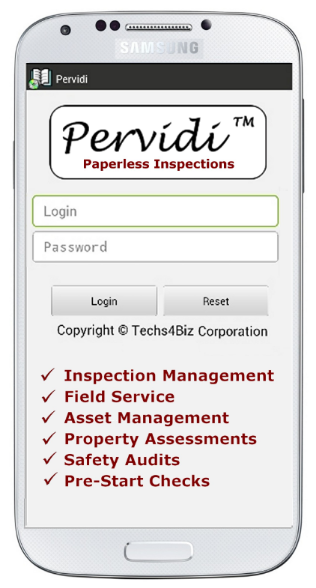 Designed with facility/property managers and lift maintenance companies in mind, Pervidi’s comprehensive paperless solution offers automation of inspections and work orders using a combination of mobile devices and web portals. Strict regulations are in place worldwide to ensure safe practices during the maintenance of heavy machinery such as cranes. Regular inspections and preventative maintenance ensure safety at the work site, minimizing accidents and potential injury. Paperless crane inspection software eliminates the typical hassles of safety inspections. In a survey of over 1400 senior executives to explore how companies are applying digital technologies, the results was overwhelm pointed to mobility and cloud. Paperless Inspection application on mobile devices can address a myriad of issues and business processes within the Oil and Gas industry and any other industry that requires monitoring corrosion issues. This includes data collection, periodic inspections, weekly/monthly inspections, semi-annual/annual audits and tracking of deficiencies and corrective actions.